The trailer for Hulu's much-anticipated The Handmaid's Tale series did anything but bury the lede, smartly capitalizing on current political uncertainties in a recognizable way to pique the viewer's interest. Shots of women marching, protesters butting heads with armed police officers; these images are something we've all seen flooding the news in recent months. 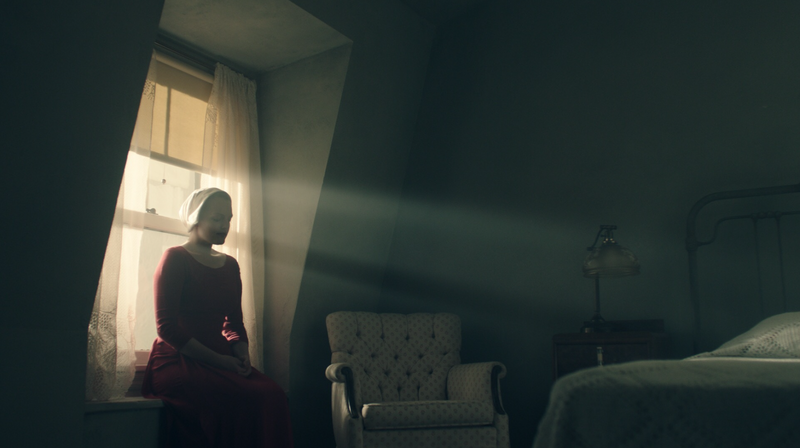 Starting the advertising of this show with the familiar, before shifting to the dystopian future of the source material allows the viewer to infer parallels between the world of 2017 and the world Margaret Atwood created so vividly and horrifyingly in her 1985 novel. You can read the rest of this review on PopMatters.